If you’re shopping at the online Apple Store, iPhone 5s availability is listed as one to three days, while brick n’ mortar Apple Stores, according to new survey, are said to offer immediate iPhone 5s availability for all models. And, come Friday, buyers will have two new discounters to get an iPhone 5s or iPhone 5c. Piper Jaffray’s Gene “the iTV is coming” Munster and his minions surveyed 60 Apple Stores and found that every one offered full iPhone 5s and iPhone 5c availability. With the iPhone 5s one of the most popular items this year and Christmas gift buying entering its last days, that’s quite an accomplishment. 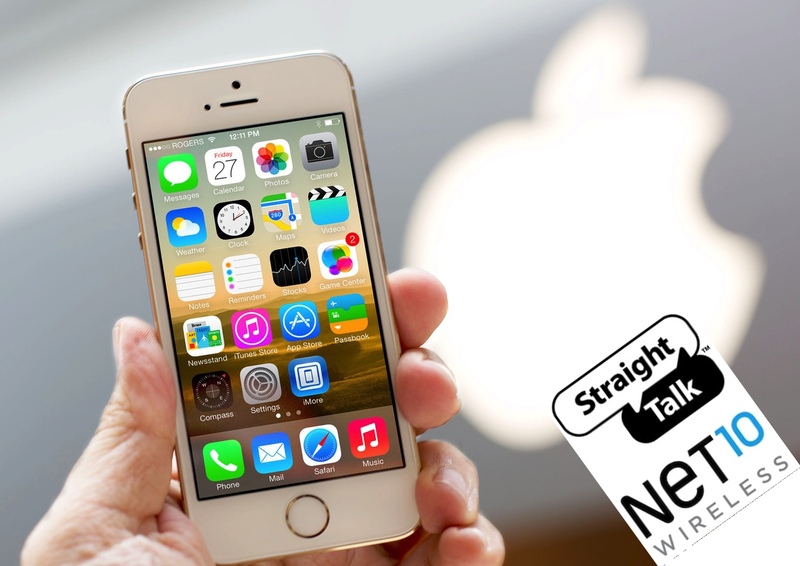 That said, two of America’s top MVNOs (mobile virtual network operators), Straight Talk and Net10, will begin offering the iPhone 5s and iPhone 5c this Friday. This move is significant because these carriers are widely believed to offer the lowest total cost of ownership (TCO) option for purchasing a smartphone — i.e. zero subsidy hardware + heavily discounted service. – $45 – No-Contract 30-Day Plan with Unlimited* Nationwide Talk, Text, and Data. – $60 – No-Contract 30-Day Plan with Unlimited* Nationwide Talk, Text, and Data PLUS Unlimited International** Calling to more than 1,000 destinations in Mexico, Canada, India, and in other countries. – Friends and Family 30-Day Plans starting at $50 for the first line and $40 for each additional line – No-Contract 30-Day Plans with Unlimited* Nationwide Talk, Text, and Data for each line without sharing. – $65 – No-Contract 30-Day Plan with Unlimited* Nationwide Talk, Text, and Data PLUS Unlimited International** Calling to more than 1,000 destinations in Mexico, Canada, India, and in other countries. That Apple is pushing the iPhone 5s and iPhone 5c to Straight Talk and Net 10 just ahead of Christmas speaks volumes about the company’s confidence about its ability to expand and meet demand. Though probably part of Tim Cook’s plans from the beginning, Apple has significantly rejiggered iPhone manufacturing to meet unexpectedly high iPhone 5s demand and they now seem to have licked that problem.